It’s a thoughtful — and useful– column, but I have to say, you had me at WE ARE MAYHEM. You had me at the cover! What’s not to love? And why shouldn’t both books be bestsellers? Really? I’d be curious to see the evidence of that. Not earning out an advance does not of itself make a book unprofitable. Anyway, I’ve ordered both books and subscribed to the website. 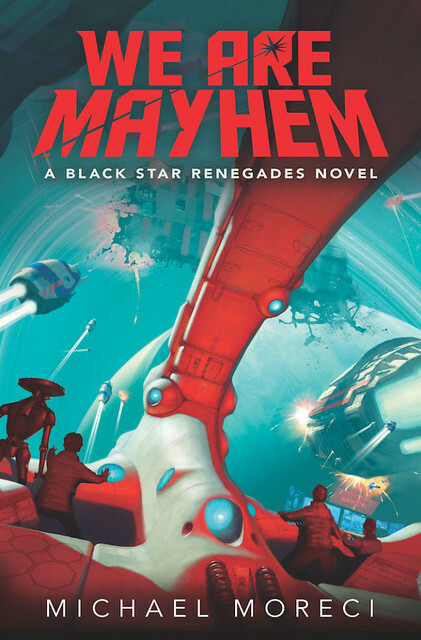 I really enjoyed Black Star Renegades and can’t wait to get into We Are Mayhem. Hey John T! I’m curious (and in an earnest way)–how can a book be profitable if it doesn’t earn back its advance? As far as I know–and like I said, I’m always learning–earning out the advance is like the break point. If I was paid $5 grand to write a book, and the publisher doesn’t earn at least that money, how can it be profitable? Again–I’m genuinely curious. Hahaha…that’s awesome. Thanks, Michael R.! It’s two different calculations. A book earns back its advance when the cumulative royalties equals the advance. A book becomes profitable when the earnings from the book are greater than the various costs. These will not necessarily happen at the same time.